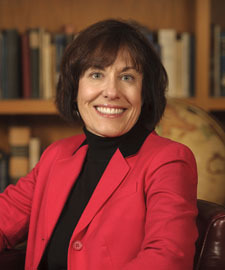 Susan Aronstein joined the UW English Department in 1987. She is the author of Hollywood Knights: Arthurian Cinema and the Politics of Nostalgia (Palgrave, 2005) and British Arthurian Narrative (University of Florida, 2012) as well the co-editor (with Tison Pugh) of Disney’s Middle Ages: A Fairy Tale and Fantasy Past (Palgrave, 2012). Her articles on medieval Arthurian romance, medieval film, medievalism, and Disney have appeared in numerous books and journals. Aronstein teaches courses in medieval literature, Arthurian Legend, Disney, and film and popular culture. Aronstein, Susan and Peter Parolin. “The Play’s the Thing:” The Cinematic Fortunes of Chaucer and Shakespeare.” In Chaucer on Screen: Absence, Presence and Adapting the Canterbury Tales.. Eds. Kathleen Kelly and Tison Pugh. Ohio State University Press. 2016: 33-44. To learn more about Susan’s publications, click here.